All About You: How to achieve your dreams. This week's meeting initiated the second series of Parts of Me and the theme of the meeting was lights. In this series we will be focusing on bringing to existence what does not yet exist in your life. Sounds very abstract, but it's simple - we'll be teaching you how to achieve your dreams! Dreams without vision are impossible to achieve! It all begins with having clarity - an idea of what you want to achieve. Often times, the things you want to achieve may be very intimidating and daunting, especially when they've never been achieved by anyone you know before. But, the secret is not to be afraid of your dreams. Put down all you want to achieve on paper, so that you are clear of what you want to bring to existence in your life. Without clarity, it will be like performing a simple task with a blindfold. Though it's simple, the lack of vision makes it harder to complete. 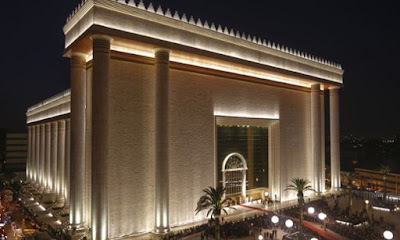 This magnificent building is the Temple of Solomon in Brazil. The building took four years to complete. Now, a very interesting detail about the construction works on the building is that from the very second the work began, it never stopped. Day and night there were people working on the building until it was completed. There was never a single moment where the work stopped. That's what needs to happen with your dreams. Once you are certain of what you want to achieve, you should start working on it immediately and never stop, even if all you are doing is thinking and planning how you will achieve your dream! It should never be far from your mind. Like your dream, the Temple of Solomon began with just one idea inside one man's head. Do not take your ideas for granted. They are the beginning of your dreams! The meeting ended with one of our favourite activities - one to one. These are special moments where we talk one to one with those who need advice and help. Are you going through something that you are finding hard to cope with? Let us be help you. 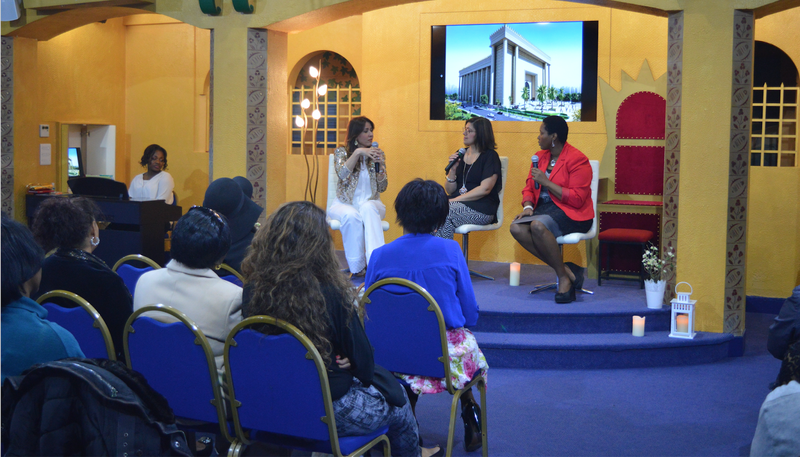 Book your one to one with one of our advisors by emailing rahab@uckg.org. ola meu nome e Sara,e quero agradecer por esta mensagem de FE,pois e isso mesmo que eu devo continuar fazendo para conquistar todos os meus sonhos. DEUS vos abencoe mais e mais.